Only two more weeks of sales and strategy guides for ReconInForce! Last week fans could read the developer’s strategy guide for the highly trained Six O’ Six. Now it’s time to dig into the firepower and ranged combat of the Royal Battery. Continue on for developer tips and tricks for playing as the Royal Battery. Then crack open ReconInForce to purchase the commander for only $0.99. 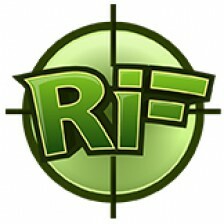 For the latest ReconInForce news be sure to like the Facebook Page or follow on Twitter! 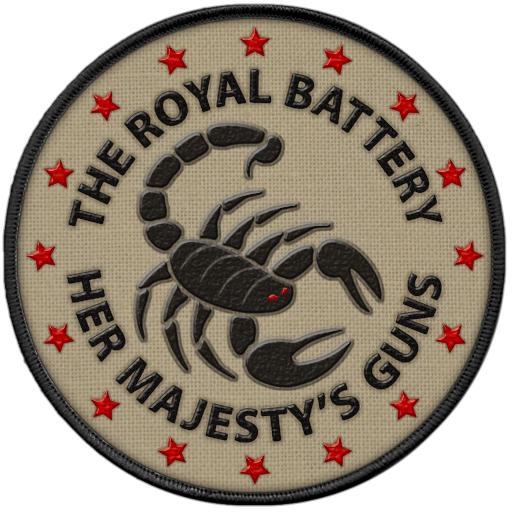 For those players who like to turtle, the Royal Battery is the commander for you. 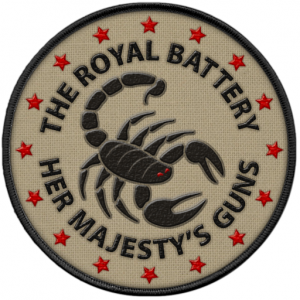 Specializing in fighting from behind cover and from far away, the Royal Battery is perfectly content with dragging the game into an attrition war that they are sure to win. They are the only commander that can sustain itself even when faced with a deployment point disadvantage for multiple turns. Once they begin taking moderate casualties, however, it’s game over! The units of the Royal Battery are intertwined and compliment each other very well! Their flagship unit, the Heavy Artillery, does tremendous damage to enemy infantry and makes a dent in enemy tanks. The attack power can be further boosted by the Spotter’s “Fire Control” ability, which increases the damage received by enemy units. If some unlucky enemy survives a barrage from the Heavy Artillery, an MLRS is always on stand-by to mop up the survivors. Finally, any targets you don’t want to deal with next turn can be effectively immobilized by your Machine Gunners, making them juicy targets for your next assault! On the drawing board, the Royal Battery was meant to have an advantage of power and range with the price of vulnerability and low mobility. Almost every unit survived from the initial brainstorming session with the exception of the Javelin, which was swapped with the 501st’s AT Gun for balance purposes. Lacking an indirect anti-tank solution further exposed the Royal Battery to it’s weakness versus armored units and forced the player to master both indirect and direct fire strategies within the same match. Surprisingly, most of the unit abilities survived the entire way through the development process, including the concept of the Machine Gunner removing action points from the enemy. One mechanic that did get cut however, was the Heavy Artillery’s splash damage, which injured enemy units that were also adjacent to the target. It was decided that splash damage added too much complexity to the game and was removed. Looking back, though, it was a cool concept and might have to be added back in sometime! I usually choose the Royal Battery on smaller maps that have limited line-of-sight corridors and medium density. Operation Shellshock is an obvious choice for the Royal Battery because it allows the player to position their battery of artillery within striking distance of their opponent’s base while making it very difficult for direct-fire units to shoot back. If the map allows your artillery to spend a lot of time shooting and has tons of things to hide behind, why not take the Royal Battery for a spin? My usual opening contains a pair of Spotters, one or two Machine Gunners, and at least one Heavy Artillery. If I’m playing second, I will deploy an AT Gun and maybe another Heavy Artillery. From that point on I always deploy at least one Heavy Artillery every turn, slowly building up a “critical mass” of Heavy Artillery firepower. If my indirect-fire units don’t have anything to shoot at I will slowly move them towards the enemy base. When moving your artillery, try to keep them spaced out to increase map coverage and prevent a devastating “wipeout” if an enemy tank breaks through. In the end, however, that idea never works out well as my artillery is always moving around in one giant wrecking ball of firepower! Right away I give up any hope of controlling the majority of the flags. Instead, when playing the Royal Battery I focus on a slow and steady forward “creeping-barrage” towards the enemy base. My focus is on protecting the Heavy Artillery at all costs and adding one more Heavy Artillery each turn. To protect my indirect-firing swarm I try and maintain a line of Machine Gunners and AT Guns to soak up enemy Action Points and prevent a breakthrough. If the enemy slips by, a blitz at my Heavy Artillery always spells game over. The MLRS is good for mop-up. Don’t waste a Heavy Artillery shot on anything with less than a few hundred hit points. Use the MLRS instead! Use the Spotter’s “Fire Control” ability on every enemy tank you see. It increases the damage your target will receive and is critical for efficiently wiping our your enemy. “Fire Control” also works on the enemy base! Machine Gunner’s can slow down the enemy by removing an Action Point every time they fire. No point in shooting at enemies that have zero Action Points remaining. They can’t do anything next turn anyways! I usually win after getting a Spotter close enough to the enemy base to use “Fire Control” against it. Then you only need about four Heavy Artillery in range to completely wipe out the base. The best part is that you can usually do this from over halfway across the map, so take it steady and keep your eye on the prize. 1. A weakness against armor: The Royal Battery hates tanks because armor moves quickly and can take a lot of punishment. Blitzkrieg tactics work great against the Royal Battery because closing the gap eliminates their primary advantage of range. The Royal Battery’s hard counter to armor, the AT Gun, requires good positioning and line of sight. Only a skilled player will have the forethought to properly position their AT Guns to shut down a tank rush. 2. They’re slow to rise: It should be easy to get the point advantage over a Royal Battery opponent, since their battlefield presence is usually very weak. The Royal Battery needs to invest a lot of deployment points into units that don’t go anywhere near the frontline. Knowing this; use the early game to grab as much of the map as possible and maintain pressure throughout the match. 3. Artillery is vulnerable to a flank: Once you get within shooting range of the enemy’s artillery it’s game over. All of the Royal Battery’s workhorse units have paper thin armor and fall in one or two hits. It’s so satisfying to see a few of your Medium Tanks demolish a blob of Heavy Artillery in one game-changing turn. This is just a brief insight into the possible strategies and counter strategies of the Royal Battery. I hope you get a chance to grab the Royal Battery while it is on sale this week and can use some of the tips in this guide to jump-start your strategy. How do you play the Royal Battery? Share your long-range strategies in the comments or forums. Happy Gaming! 1. All machine gunners, once spotted, must be brutally murdered on the same turn, which is most easily accomplished with artillery. Or at the very least, they must only be permitted to pin down cheap, expendable units, NOT tanks. 2. AT guns are HIGHLY DANGEROUS and must likewise be immediately eliminated or avoided at all costs. Two hits kill a spotted medium tank!! *shudders* Sure, positioning is important/tricky, but the ability to deny an entire section of straight road/open space (which tanks need to operate successfully!) with just one unit is just incredibly annoying. 3. If either (1) or (2) is not possible, then the artillery units must be dealt with using (a) effective counter-battery fire, and (b) killing their Spotters…somehow. It can therefore be surmised that the Royal Battery is all about ambushes. In the fog of war, the two ways to deal with an ambush are (i) good scouting; (ii) weight of numbers. Iron Raiders: terribly cost-inefficient at killing infantry in general, and no indirect fire options…which means doom is inevitable once enough AT guns accumulate. Mechanized Mongrels: a robot spam might work, but it’s cumbersome to take down a 900-health Machine Gunner with Robots alone. Their low-health tanks will be fodder for AT guns and artillery. 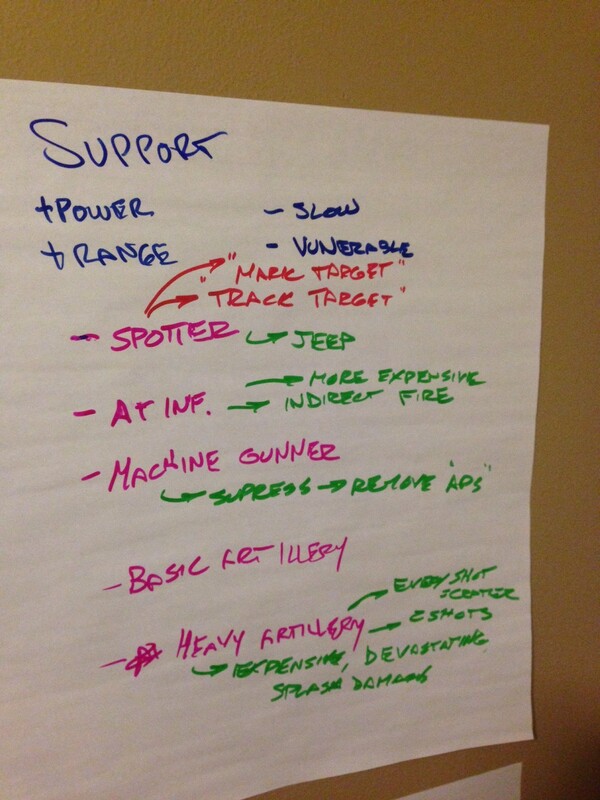 Best bet is to rely on Rocket Artillery, but then scouting goes down the drain…see the dilemma? So the 17th Guards and the 606 SF are the only two commanders with effective counters. The Guards accomplish this via combined-arms tactics (infantry absorb ambushes, artillery clear ambushes, tanks execute breakthrough and deal with counterattack). The 606 accomplish this with superior visibility in rugged terrain, Snipers which can kill 900-health infantry on forests/cities in 2 hits (and perform an advance-shoot-shoot-disappear sequence), and DEVASTATING long-range counter-battery fire (which also OHKOs AT Guns on forests/cities!). So I wouldn’t call the Royal Battery purely weak to armor per se, it’s more of the role armor plays in combined-arms i.e. finishing them off. Finally, it’s true that the Royal Battery is slow to advance and secure income. But few-to-none of the maps are big enough that infantry are more than 1 turn slower than tanks to reach the flags. So I don’t find opening with tanks always the best idea, because they will rush forward alone, take the flag, and very likely get killed within the next 1-2 turns. That compensates for their deficiency somewhat. Very insightful comments that demonstrate your solid grasp of ReconInForce! I like when you mentioned that the AT gun was highly dangerous, I definitely agree. Many players think the AT Gun is just too difficult to use. For me the AT gun is a challenge as it requires catching enemy tanks when they are about 4-7 spaces away. Any closer and it’s tough to keep them alive from counter fire. Placed right, and with spotter support, they can be very deadly. The 501st is really outclassed by the Royal Battery. Like you said, their only answer is LAVs, which just can’t survive. Combined with Mortar Carriers, though, they stand a slightly better chance as the indirect fire support can take out the AT guns. Next turn anything visible will usually be wiped out with Heavy Artillery however. Javelins, interestingly enough, can do some real damage to the Royal Battery if they can sneak into range. I think your Iron Raiders strategy of rushing forward with Transports and Armored Scouts would have been a great candidate to counter the Royal Battery as well, I’m surprised you did not mention that. Next week I will post a strategy guide for the 501st, what sort of strategies do you use when playing as that commander? The Iron Raiders ‘recon in force’ strategy works because it 1. Identifies enemy mobile/forward-placed units early and 2. Denies enemy mobile/recon units freedom of movement by occupying strongpoints that may be inaccessible to/protected from enemy armor (forests). The Battery…has no armor, and…probably won’t have many forward-placed units on the first turn, and…if opening with 1-2 artillery units (few players will do this because it’s not cost-effective for other commanders to do so), can just kill the Raiders’ recon once it gets spotted anyway 😛 Plus, as you say, the Battery is designed to withstand an early income disadvantage. The real problem for the Raiders vs the Battery is economics (once commander identities are revealed, the Battery only needs AT Guns and MLRS vs Heavy Tanks and the whole supporting convoy) and line of sight. There is no good way for the Raiders to eliminate AT Guns once the smoke starts falling (their infantry isn’t good enough on its own), and they won’t be able to keep up with as much smoke of their own because they don’t have indirect-fire units. So all the Battery has to do is to spam smoke, spend the remaining artillery action points blowing up armored scouts (which reveal their position with every smoke screen…), and then shoot anything that is exposed. 1. Obviously the more open the terrain is the harder it is to utilize the 501st, so unless you’re prepared to add a couple of mortar carriers and spam smoke (a viable option to surprise opponents, by the way! ), don’t pick this commander. 2. Everybody thinks you’re not going to use LAVs much because they are relatively expensive for you and don’t really fit in with the rest of the infantry spam. So what do you do? Use them, of course xD I find the flank attack doctrine very appropriate, but this is of course highly map-dependent. I still get occasionally surprised by LAVs even against the AI, which is embarrassing, but it goes to show how useful this unit can be in the right hands. 4. INCOME. In a war of attrition, securing income is essential. 5. Steamrollers excel against impatient opponents who are more likely to make hasty mistakes. 1. Artillery and good scouting is important but not at the expense of giving up income (which will regenerate the meatshield as fast as you can whittle it down). To combine these strategies, place armor on cities next to flags and have enough artillery to instantly kill any javelins you see. Due to the 501st’s numbers you may have to allow some infiltration to hold on to the income, but it should pay off long-term. 2. At the front line, preferentially eliminate either Javelins or Flame-throwers while producing the corresponding unit type (armor/infantry). You can vary this across the map and shift your focus repeatedly to keep the 501st player off-balance and making mistakes in unit choices, which reduce the effectiveness of the meat-grinder. Mongrels: tough for them because they can’t really hold a front line. Flame tanks cannot enter forests, aren’t terribly mobile, and will likely be heavily outnumbered. Use engineers to guard open spaces with turrets and use plenty of rocket artillery against the inevitable Javelin spam. Royal Battery & 606: the 501st stand no chance against these specialized infantry-killers. Unfortunately. Great insights into the 501st, I agree with a lot of these and used them in my own strategy guide for the ‘Bulldogs’. Like you said, the 501st is just a “meat wall”, which is something that I love about them! It creates a sense of struggle when playing with and against them. Stricken with an incurable itch to make video games, Garren started creating board games as soon as he could cut construction paper. Garren began teaching himself programming and game development in between engineering classes in college. ReconInForce is the realization of a childhood prototype that was elevated to production in October of 2013. Get Updates and Strategy Tips Straight from the Developer! RiF (Version 2.0.2) Release Notes! RiF (Version 2.0.1) Release Notes! RiF (Version 2.0) Release Notes! ReconInForce to receive a Mapmaker!